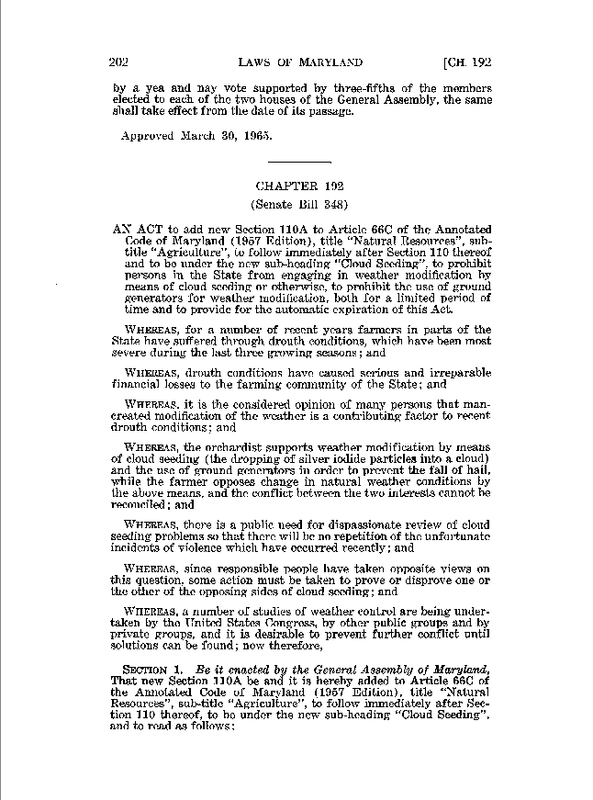 by a yea and nay vote supported by three-fifths of the members elected to each of the two houses of the General Assembly, the same shall take effect from the date of its passage. 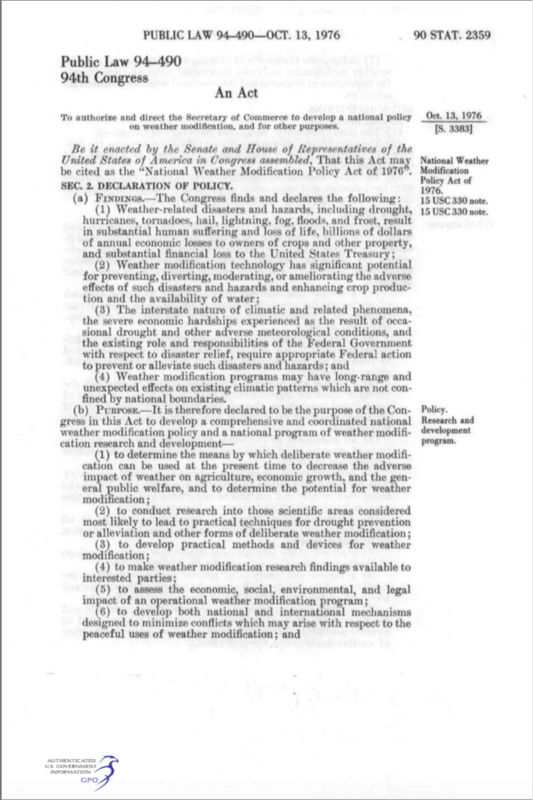 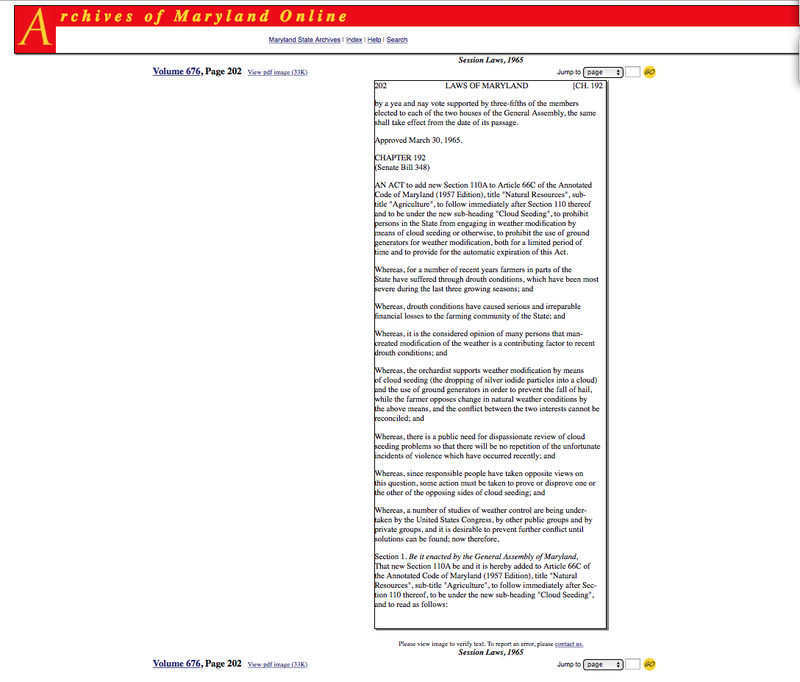 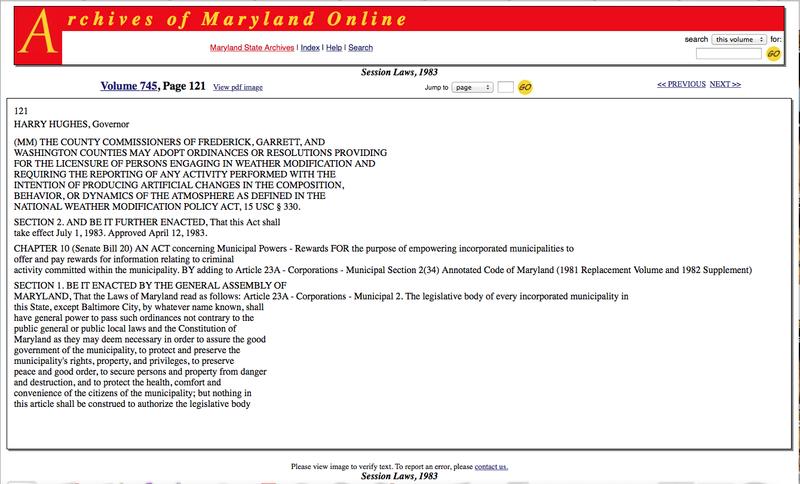 (nn) The County Commissioners of Frederick, Garrett, and Washington counties may adopt ordinances or resolutions providing for the licensure of persons engaging in weather modification and requiring the reporting of any activity performed with the intention of producing artificial changes in the composition, behavior, or dynamics of the atmosphere as defined in the National Weather Modification Policy Act of 1976, 15 U.S.C. 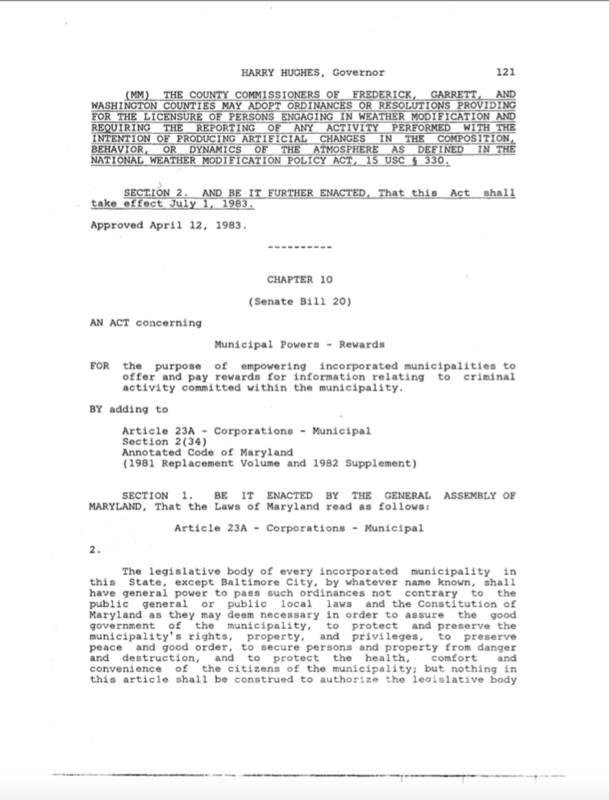 § 330 et seq.